Cruise on up to a cash bar without the hassle! 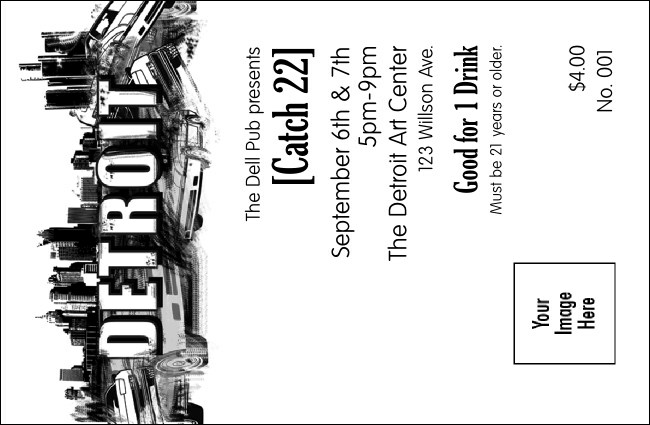 Sell Detroit Drink Tickets in advance, or use them as incentives and rewards for your best patrons. You'll drive away with dynamic bar sales and happy bartenders. In black and white with an automotive design and space to upload your organization's logo. Matching Event Kits for local events? TicketPrinting.com is music to a publicist's ears!